I'm way behind in keeping you up to speed on what's developing! 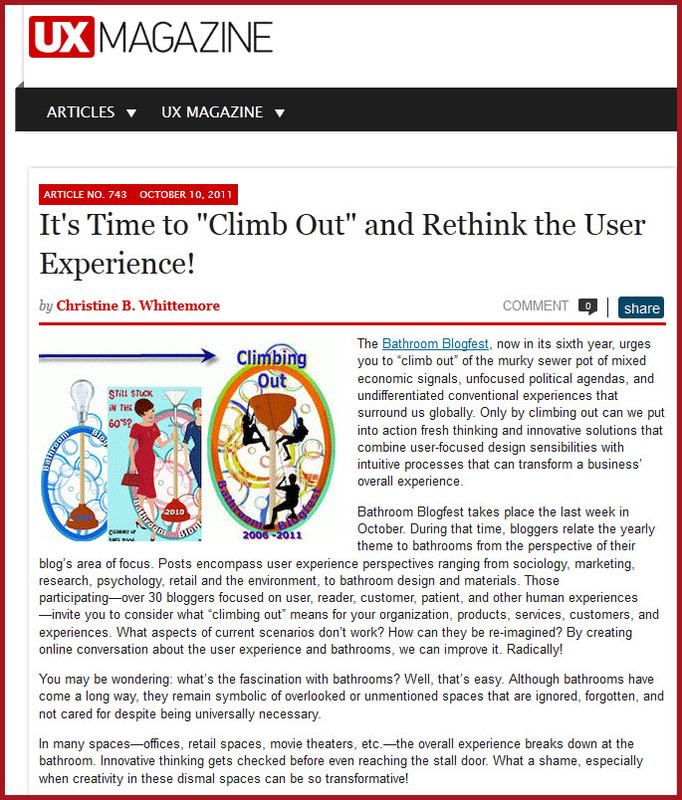 Yikes... Big thanks to UX Magazine for once again featuring Bathroom Blogfest 2011. 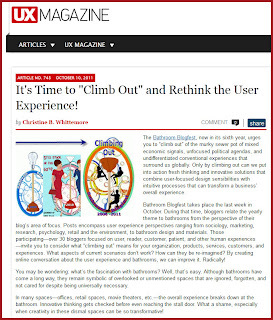 Please do check out It's Time to "Climb Out" and Rethink the User Experience! I think you'll enjoy the article. 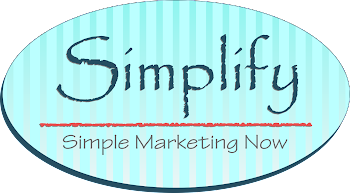 Another big thanks to Arpi Nalbandian, editor, Tile Magazine for getting the word out in We're Ready for Bathroom Blogfest 2011. Are you? There's more news coming, including details for the #KBTribeChat that takes place next Wednesday, 10/16/11 from 2 to 3pm EST. 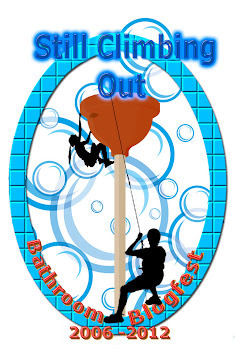 Stay tuned and get ready to Climb Out!